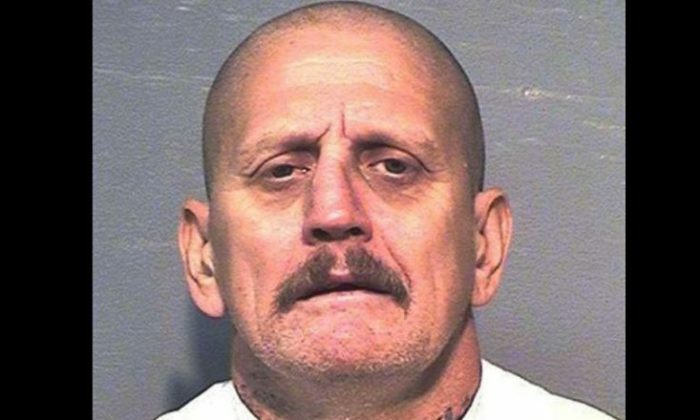 The alleged leader of a White Supremacist gang was killed at a California prison, according to law enforcement and watchdog groups on Friday. Devlin “Gazoo” Stringfellow, 48, reportedly was the founder Public Enemy Number 1, also known as PENI, which grew out of the Southern California punk scene in the 1980s. It later reportedly became a skinhead gang. Stringfellow was stabbed a number of times in a prison exercise yard on Wednesday by two other prisoners armed with homemade weapons, according to The Associated Press, citing a spokesperson at the California State Prison system in Sacramento. Jacob Kober, 29, and Stephen Dunckhurst, 49, were identified as the two suspects. No charges have been filed yet, and officials did not say if they’re gang members. Stringfellow was transferred to Folsom prison from Los Angeles County in 2014, Newsweek reported. He was serving a six-year prison term for possession of drugs, carrying a concealed weapon, and assault. All members of Public Enemy Number 1 were previously members of the Aryan Brotherhood prison gang, said Matthew Buechner, a former gang investigator with the California corrections department, AP reported. “The group’s mercenary and criminal nature, coupled with a white supremacist ideology and a subculture of violence, makes it a triple threat, both to law enforcement and to the public at large,” according to the Anti-Defamation League. But Stringfellow for a long time had allegedly been a target of other members of the gang. “He was a loud mouth and (the Aryan Brotherhood) does not want attention,” Buechner said. Members of the gang also lure targets into thinking they are safe before they “strike as violently as possible to send a message to enemies and membership to stay in line,” he added. Of the suspects, Kober is serving a life sentence for a 2012 murder in Alameda County, while. Dunckhurst was initially serving a three-year term for robbery, but he got a life sentence for vehicle theft and weapons conviction. But Jesse Hawk, who claims to be the nephew of Stringfellow, tweeted that “the ADL did not identify the victim as a white supremacist. This misinformation does not pertain the murder of Devlin Stringfellow by two inmates.” He added, “It also does not shed light on he being a family man, contributor to his church and his community. This is slander on his memory.” Hawk also set up a GoFundMe for Stringfellow.